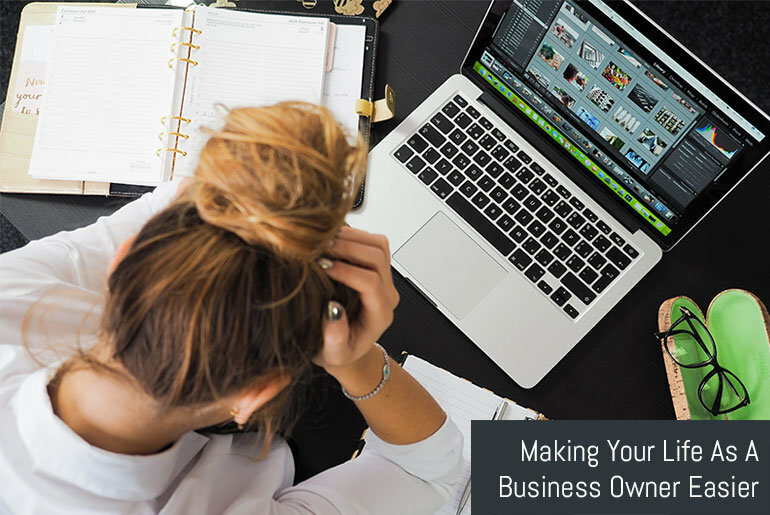 No one ever said that owning a business was going to be easy. There are a plethora of things to think about such as how much profit you’re earning, making sure your staff are doing their jobs correctly, coming up with new ways to further your business, and that’s just to name a few. It’s understandable that sometimes you may feel like there’s no light at the end of the tunnel, and that you will always feel on edge. However, there are a few things that you could be doing to make your life easier. First and foremost, if your office or working space isn’t organised then it’s not surprising that you’re finding things difficult to run. Be sure to organise all of your important documents and files in an order that works for you so that when you need them you will know exactly where they are. The same goes for your workspace. Whether it’s an office or a store, be sure to keep it tidy and organised at all times so that you can work as efficiently as possible. Be sure to pass this on to any members of staff too so that they find it easier themselves. Sometimes, things will go wrong unexpectedly. These things could sometimes cause business to temporarily stop. While there’s not much you can do to prevent things from happening, you should always have backups ready to come in and get business back up and running as soon as possible. Mustard IT Support can offer you fast and effective support if anything were to go wrong with any computer systems you may have. The same principle goes for electrics, heating, other pieces of machinery, and staffing. One thing that many business owners fail to do is to leave the stresses of their day at work at the end of the day. While it might be hard to get things out of your head, making the most of the time you have at home with your family and loved ones will soon help you relax and regenerate ready for the next working day. Keeping relationships happy at home by not bringing work home with you will ensure that your life is much easier when it comes to going back to work the next day. Businesses are constantly changing, and hopefully for the better too. If you’re finding that the workload you have is getting too much, then appoint someone to be your second in command and help take off some of the strain. Training them up to step in if you’re unwell or at a business meeting will also take some major stress off your shoulders and allow you to concentrate on more important factors of the business. Having a supervisor and all of the above advice will also help because they can keep an eye on other members of staff while you’re dealing with other things.